CLICK HERE TO RESERVE YOUR SPOT – SEATING IS LIMITED! 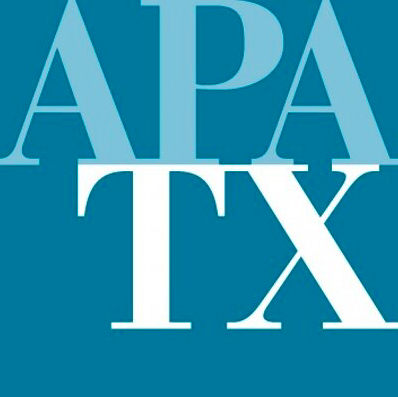 Join us on historic Galveston Island for Living on the Edge: Taking Action, our third annual conference on building and preserving resilient and healthy coastal communities. For 2016, the sessions highlight leaders and organizations who have implemented strategies to confront environmental, social and political challenges facing coastline communities and their cultural resources. Galveston occupies a barrier island in the Gulf of Mexico. In its history, the Galveston community has adapted to the environment through elevating and relocating buildings and through a massive seawall construction and grade-raising project after the deadly Hurricane of 1900. After Hurricane Ike of 2008, Galveston Historical Foundation launched the Center for Coastal Heritage to explore the relationship between history and the coastal environment in communities around the country. Living on the Edge is partnering with Intersections2016 to provide a 2-for-1 deal. Use your Living on the Edge registration towards a ticket at Intersections2016, where more than 60 speakers will focus on health, culture, resilience, prosperity and social justice in a public dialogue at University of Houston-Downtown, from November 10-12, 2016. Enter the code “ontheedge2016” at checkout to receive a $150 discount on your full pass registration. Click here for details. Dale Morris, Senior Economic Advisor at the Royal Netherlands Embassy in Washington, D.C.
Kinder Baumgardner, Managing Principal of SWA Group, Houston, Texas. As the conference approaches, we will feature various speakers. Check back often for updates. Weather It Together is a multiagency initiative of the City of Annapolis to plan a bright and prosperous future for the historic seaport in the face of sea level rise and flooding. We address the technical, social, cultural, environmental and regulatory considerations of the hazards and potential responses. We put special emphasis on the economics of what is going to happen and adaptation alternatives. Don Bain will give a progress report on the program, discuss experience with the FEMA methodology and report on making dollars and sense in planning for sea level rise. Don Bain is a professional engineer and management consultant. His superpower is the ability to translate science and technology into economic and business value. He is expert in climate change and sea level rise. Don is a principal at SumSmart LLC and is on staff at the Greenhouse Gas Management Institute. Don’s resume includes: partner at Ernst & Young, international executive, chairman and president (software and technology), early stage venture investor (Robin Hood Ventures, member and board member) and engineer. He earned his engineering degree at Stanford University and completed The Management Program at Rice University’s Jones Graduate School of Business. Don is a licensed professional engineer (Texas). Coastal land loss and sea-level rise have presented many challenges to state and local governments. Following Hurricane Katrina, many local governments have encouraged structural elevation to meet Base Flood Elevation (BFE) maps, per the National Flood Insurance Program. Historic structures are no exception, or are they? This presentation will touch on the different approaches to elevating historic resources in some communities. This work is based on requirements by their local government, and the guidance provided by the Louisiana SHPO staff regarding changes to historic resources, when faced with these issues. Nicole Hobson-Morris serves as the Executive Director for the Louisiana Division of Historic Preservation (DHP) and Deputy State Historic Preservation Officer for the Louisiana SHPO within the Office of Cultural Development and the Lieutenant Governor’s Department of Culture, Recreation & Tourism. She oversees a small staff of eight professionals who concentrate on the state’s above-ground resources through various programs guided by the National Historic Preservation Act of 1966, as amended and the National Main Street Center. Nicole enjoys working with a highly skilled staff who, along with herself, manage to provide extremely effective technical assistance to constituents who seek to document, regulate, or enhance the rich cultural resources found throughout the state of Louisiana. Nicole received a Master of Preservation Studies degree from Tulane University of Louisiana. She serves on the Louisiana Folklife Commission and the board of the Adult Literacy Advocates of Baton Rouge. Because of their favorable location, coastal cities are often densely populated and of great economic and ecological value. However, these regions’ vulnerability to floods is severe, and increasing due to climate change. In her lecture Anne Loes will address key decisions in drafting a regional flood risk strategy and reflect on the spatial impacts and potentials of certain choices. She will show some innovations with regard to integrated flood risk and landscape design, such as ‘building with nature’. Also she will show design proposals for the Netherlands coastal town of The Hague and for the Texas Galveston Bay area. Anne Loes Nillesen is specialized in Landscape architecture in the domain of water and flood risk management. At her firm Defacto Anne Loes has worked on large-scale complex projects such as the Dutch Delta Program and the Bangladesh Deltaplan. She also worked on local scale coastal protection and resiliency projects and is now involved in a landscape study for a Galveston land barrier. About 200 villages exist in Alaska, most of them along rivers or along the ocean coast. Because of changes in protective sea-ice cover and more severe storms, village sites that have been good for centuries are now being flooded. In response, some villagers are making the immense effort to move. Some are not. Rozell gives a summary of how changes are affecting bush Alaska. In three decades in the largest state, Ned Rozell has written more than 800 weekly newspaper stories of science for non-scientists. 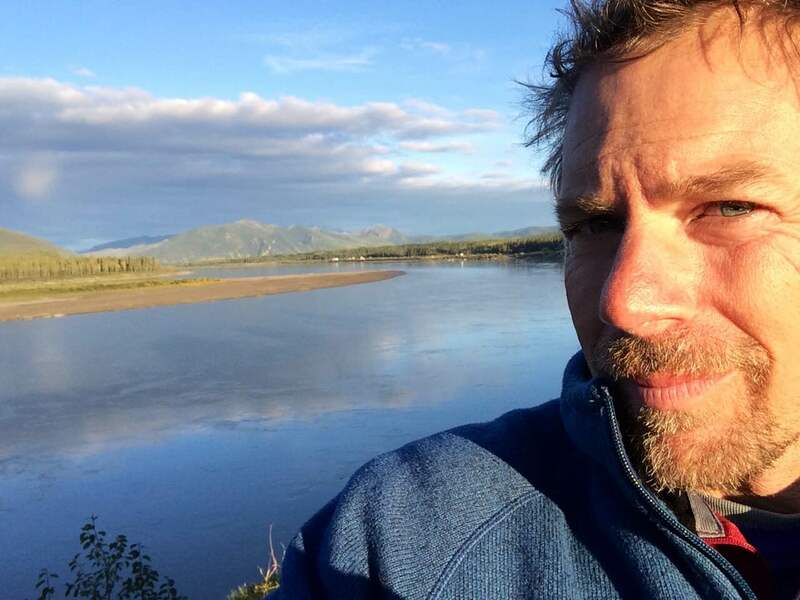 He has traveled all over Alaska and has seen many of the changes villagers are facing. Join us at the 35th Annual Island Oktoberfest Friday evening in Downtown Galveston-festivities begin at 5:00PM! The event will be held at the 1859 Ashton Villa at 2328 Broadway, Galveston, Texas, 77550. George Bush Intercontinental Airport (IAH): Houston’s largest airport, Bush Intercontinental is located approximately 23 miles north of downtown Houston, near the Sam Houston Tollway (Beltway 8 North). Reach the airport by phone at (281)230-3100. Directions from Bush Intercontinental to Galveston (54 Miles): Begin at George Bush Intercontinental Airport on Terminal Rd S and go East for 0.6 miles. Bear left and go Southeast for 300 feet. Turn left on Greens Rd and go East for 2.4 miles. Turn right on Eastex Fwy, US-59, US-59 N and go South for 0.6 miles. Bear left on ramp and go South for 1000 feet. Continue on Eastex Fwy, US-59 and go South for 14 miles. Bear right on ramp at sign reading “I-45 to Galveston / Dallas” and go South for 0.6 miles. Continue on I-45 and go Southeast for 45 miles to Galveston Island. William P. Hobby Airport (HOU): Houston’s second largest airport, Hobby Airport (HOU) is located approximately seven miles south of downtown Houston, near I-45/Gulf Freeway, the major highway heading from the City to NASA and Galveston Island. Reach the airport by phone at (713)640-3000. Directions from Hobby to Galveston (31 Miles): Begin at William P Hobby on Lockheed Ave and go North for 0.2 miles. Turn left on Convair St and go West for 200 feet. Turn right on Telephone Rd, TX-35 and go North for 0.3 miles. Turn right on Airport Blvd and go East for 2.4 miles. Turn right on Gulf Fwy and go Southeast for 0.6 miles. Continue on ramp at sign reading “I-45 S” and go Southeast for 0.3 miles. Continue on I-45 and go Southeast for 35 miles to Galveston Island. Most national taxi companies service Galveston from William P. Hobby Airport and George Bush Intercontinental Airport. Join us for an evening social on the ANICO Observation Deck. 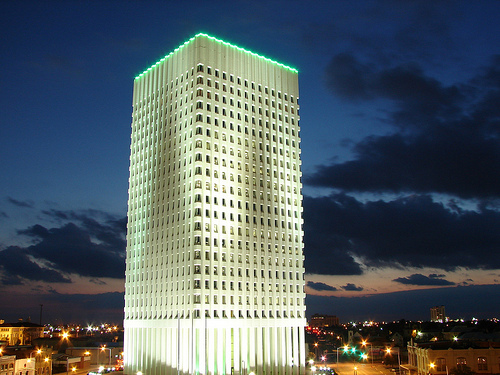 The ANICO building, located at One Moody Plaza, is Galveston’s skyscraper. The observation deck affords spectacular views of the Gulf Coast, Galveston Bay and Galveston Harbor, Downtown, several historic districts and the University of Texas Medical Branch (UTMB) campus. As you connect with conference participants over cocktails and hors d’oeuvres, don’t miss out on the sunset view at 6:44PM! *This social event is included with conference registration, however, participants must register by Fri Oct 7 to get access to the observation deck. 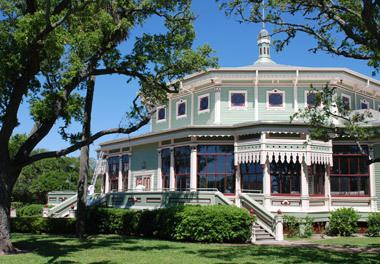 Join us for our Keynote Speaker Dinner at the Garten Verein, an octagonal building constructed in 1880 as the centerpiece for German culture and heritage in Galveston. Coastal Catering will provide an excellent dinner, while Adam Parris, Director of the Jamaica Bay Science and Resilience Institute, provides an in-depth perspective on success stories and challenges of building coastal resiliency in New York City. *This social event is included with conference registration. Guests not attending the conference may purchase dinner tickets for $25. 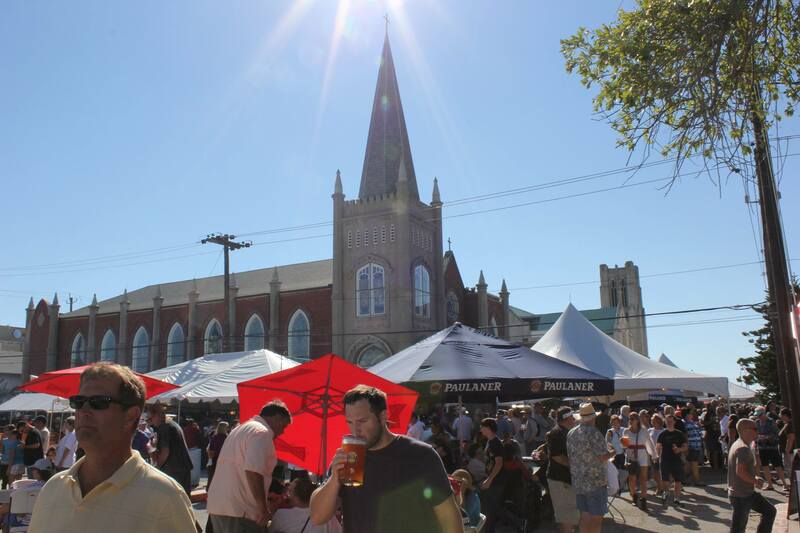 Join us for Oktoberfest, Galveston’s premier fall festival, on Fri Oct 21 and Sat Oct 22. Although this event is organized separately from the Living on the Edge Conference, the back-to-back timing of these events this year is spectacular. Oktoberfest kicks off in historic downtown Galveston at 5:00PM on Friday, providing an excellent venue for conference participants to unwind while enjoying music, food and drinks.